Can You Defend Yourself on the Streets ? 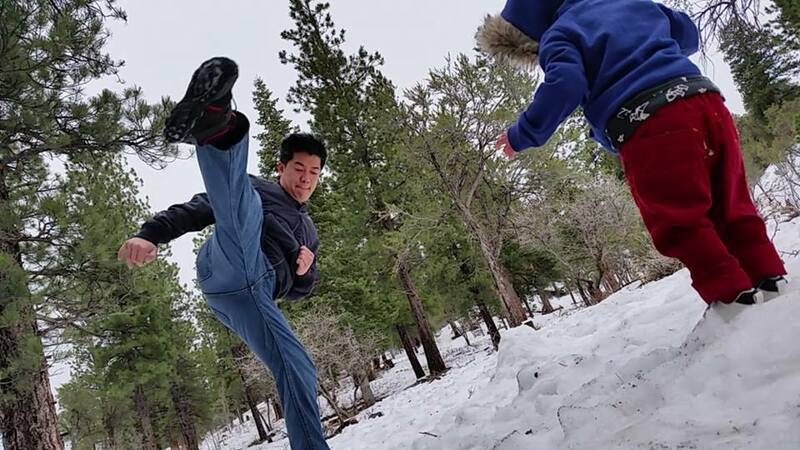 Everyone in the martial arts community likes the feeling of walking the mean streets , confident that he will be able to defend himself when the need arise. However that kind of feeling can be dangerous when you found out on the streets that you’re wrong. Always keep in mind that it didn’t take 10 or more years for the crack head on the street who will assault you. The muggers just did his fighting techniques the practical way, by mugging and assaulting experience. Realistic experience is the key to realistic self defense techniques. Realistic self defense comes from spontaneous reactions, based on solid foundations of the basic human kinetics principle. One good concept for realistic self defense is the principle of non resistance, and the integration of a counter attack as your defense. When an attacker executes a strike whether a kick/punch/grab , you don’t block. You just move away from the line of attack and strike back at the same time. Facts should rule all self defense or fighting tactics. 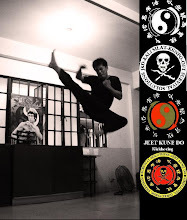 To be able to strike with power is to strike with explosion of the hip rotation, incorporation of body weight to the strike and the acceleration of the strike whether it is a kick or a punch. Two most important part of realistic self defense training is timing and distancing. Practical training will teach you when to attack and how to close the striking distance. Distancing is affected by intention. Self defense techniques and strategies you need to developed are the punching, kicking range, close quarter, grappling, and various street weapons range. Possible weapons you will encounter on the streets are bladed weapon , broken bottle glass, base ball bat, improvised knife , and many more . 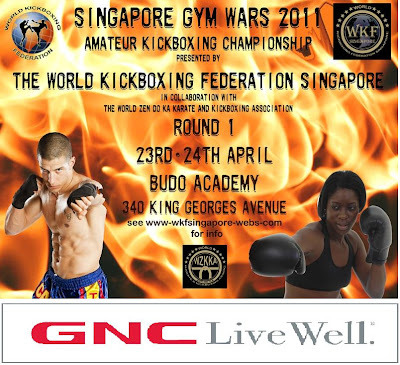 WKF Singapore President, Zen Do Ka Sensei, Peter A. Robertson is organising the 1st Annual WKF Singapore “Gym Wars," Amateur kickboxing Championships, open to fighters from all disciplines, muay thai, karate, taekwondo, kung fu, etc, at some of Singapore's best Gyms in a variety of different environments, from Tatami Mats, Boxing Rings and MMA Cages. Round one. Eligible winners will be offered an All Expenses Paid, trip to fight in The World Kung Fu Toa Championships in Iran in May 2011. The competition will be light contact. No Elbows or Knees. The object being a measure of skill and technique rather than knockdown matches, so Amateur fighters can compete in a safe environment without worrying about being seriously injured. 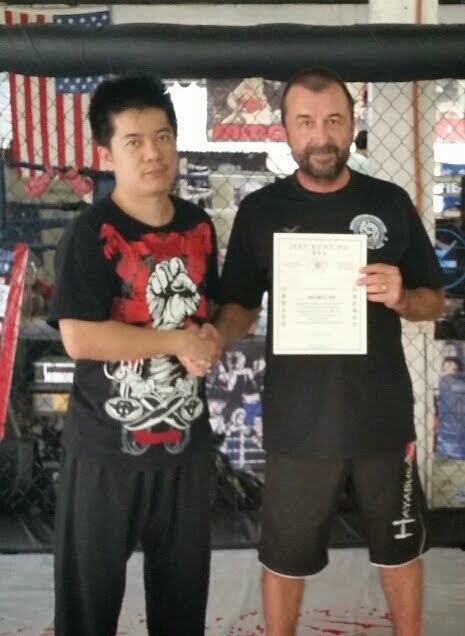 Round 1 takes place at Budo Academy. 340B king Georges Avenue Singapore. 22nd - 24th April 2011. 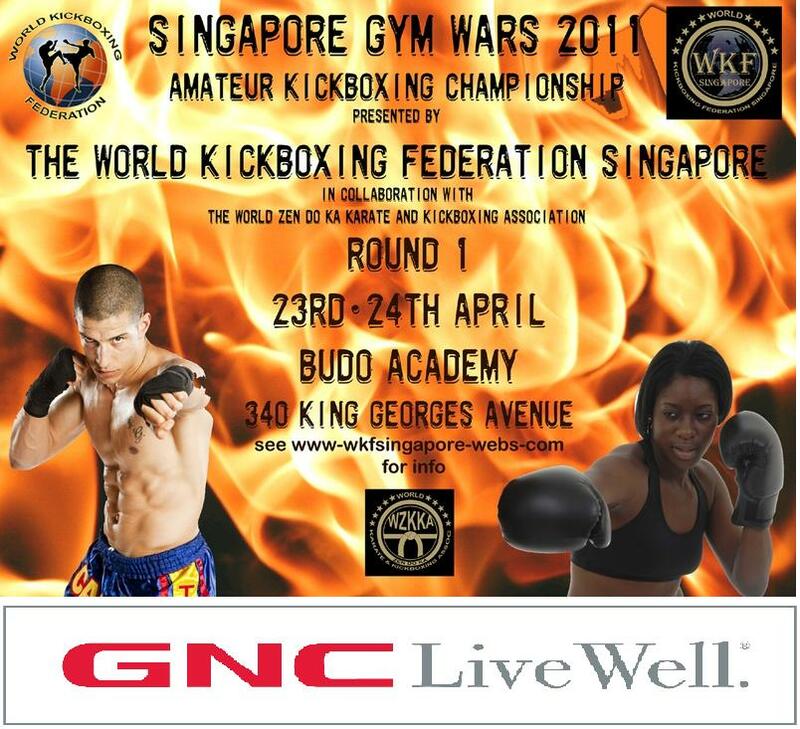 All contestants will recieve World Kickboxing Federation (WKF) participation Certificates. Winners, second and third place getters in each weight division will recieve trophies and medals.The overall winner will recieve a WKF Singapore Champion Certificate and trophy, be listed in the WKF Singapore website and will be sponsored on an All Expenses Paid, trip to the World Toa Championships in Iran in May 2011.